Keurig is without a doubt one of the most popular coffee machine brands in the world today – facing competitors such as Nespresso, Starbucks Verismo and Dolce Gusto. 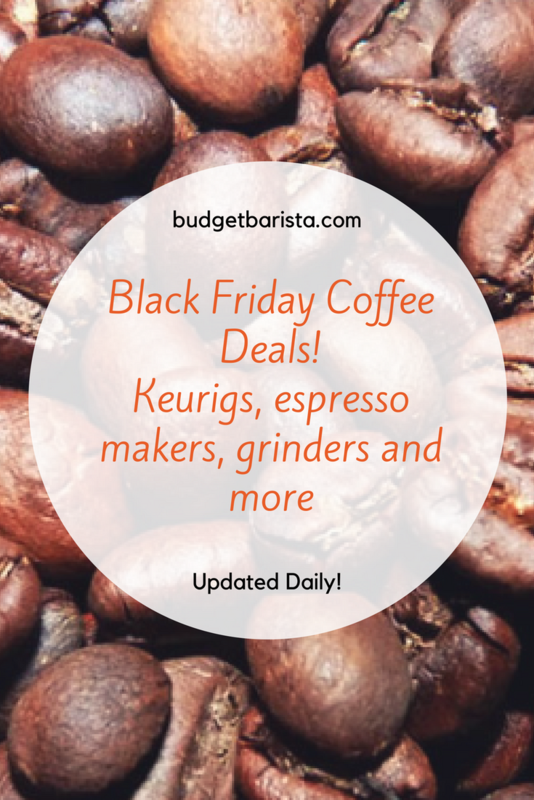 However, Keurig has variety on its side, with countless k-cup pods to choose from delivering various coffee tastes, textures and beautiful aromas. 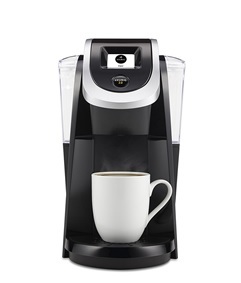 One of the most popular Keurig brewing systems available on the market today is the Keurig K200 from the Plus series. 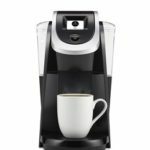 The K200 features the Keurig 2.0 Brewing Technology, which is designed to brew K-Cup or K-Carafe pods, allowing you access to a vast amount of different coffees that suits your brewing needs. There are however some things to consider when looking to purchase a brewing system such as the K200. One of those being whether or not you have the counter space to place your brewing system. For example, if you have the original Keurig and are looking to free up a little more counter space, the K200 may be for you. It’s a smaller machine, almost identical to the original while implementing a few more bells and whistles. While it is a smaller Keurig, the water level is still easy to see. One thing noticeable about the K200 compared to other machines is that the water container does not light up to indicate it needs refilling. This is a feature some prefer as a precautionary warning that they need to fill up their water, as seeing the indicator on the screen may not be sufficient. A key feature for this Keurig is its portability and size compared to other models such as the K500. Ideally, this brewing machine would suit those who live in a compact environment, or prefer a minimalist lifestyle. The machine suits all different styles of living, the fact that it still has features Keurig is known for, while still maintaining a smaller size. The K200 comes in a wide range of colors, as opposed to the original Keurig’s black. Colors include black, white, sandy pearl, violet, red, turquoise and ‘serenity’ which is a blue color voted one of ‘Pantone’s Colors of the Year’. This is a fun way to add some flare to a small kitchen, office or dorm room. One of my favorite things about this machine is how it makes delicious hot chocolate, and has a separate setting just for cocoa. Other Keurig machines don’t always offer this function, which makes this machine perfect for a diverse audience. Another great feature is how you can control the coffee strength, making it the perfect choice for those who need strong coffee in the morning, but maybe prefer something a bit lighter in the afternoon. 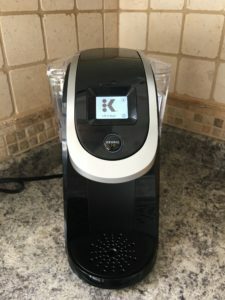 Not to mention how the Keurig K200 is incredibly simple to use; it has a water tank that holds 40 ounces, which is enough for a couple of days’ worth of morning coffee (or a day’s worth if you work from home like me!). The Keurig will also notify users when it’s time to descale the machine or change the filter. There is the option, however, of purchasing the additional carafe – allowing you to make a 40-ounce pot of coffee. Not needed to make the machine function, but a nice accessory to those coffee-addicts out there. It also has an updated touch screen that makes the brewing operation as easy as making an instant coffee (who even drinks instant nowadays?) 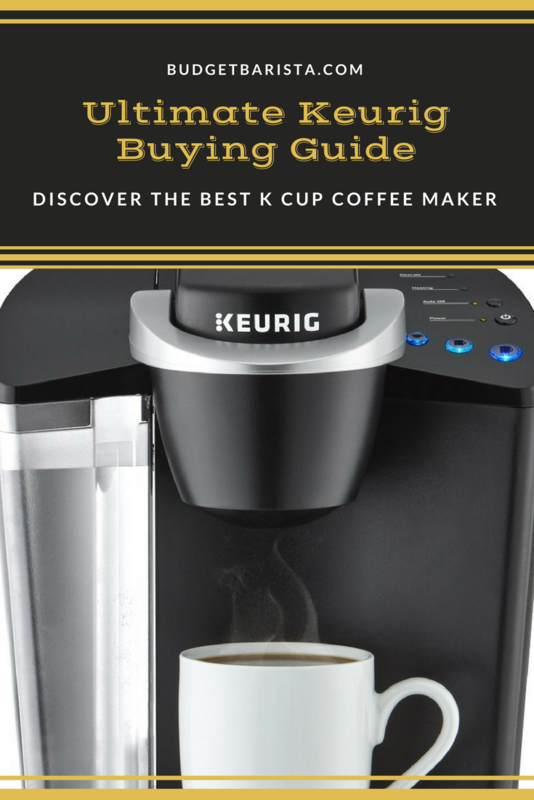 The black and white display gives you step-by-step instructions on how to brew your ideal coffee, perfect for those who are new to Keurig systems. This is all operated by the on-board computer which senses the K-Cup, and brews it as a strong cup or a regular cup of coffee; either one will come out at about 180 degrees. It brews your cup in just two minutes. Common user reviews suggest this coffee machine is lacking no huge features needed to brew the perfect coffee. 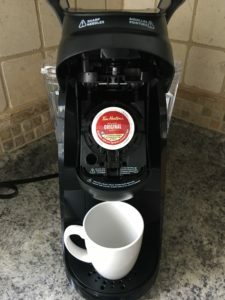 However, some users believe it’s a bit of a scam how you can’t reuse your old K-Cups (assuming you’re switching from a bigger Keurig system) You can only use the new Keurig K-Cups specifically made for the 2.0. These have a silver rim that the on-board computer reads to determine the type of coffee, tea, or hot chocolate you’re making. Furthermore, users have experienced lengthy wait times when the machine is preheating, you have to wait a little while before you can press the start button and actually brew your coffee. You can’t expect any machine to automatically be at the perfect brewing temperature, but nonetheless, waiting can be a bit bothersome for us impatient folk. Finally, the K200 filters are not reusable, as they are with other Keurig models. This is a bit wasteful and since they are not recyclable, this can be quite a cause for concern. The K-Cups are recyclable only if you separate the components, and that has been in the limelight for a while now – I’m sure Keurig will do something about this in the future. If you do wish to recycle your K-Cups, you must take the pods apart; leaving you with plastic, aluminium, coffee grounds and paper filter – all of which must be recycled/composted separately. 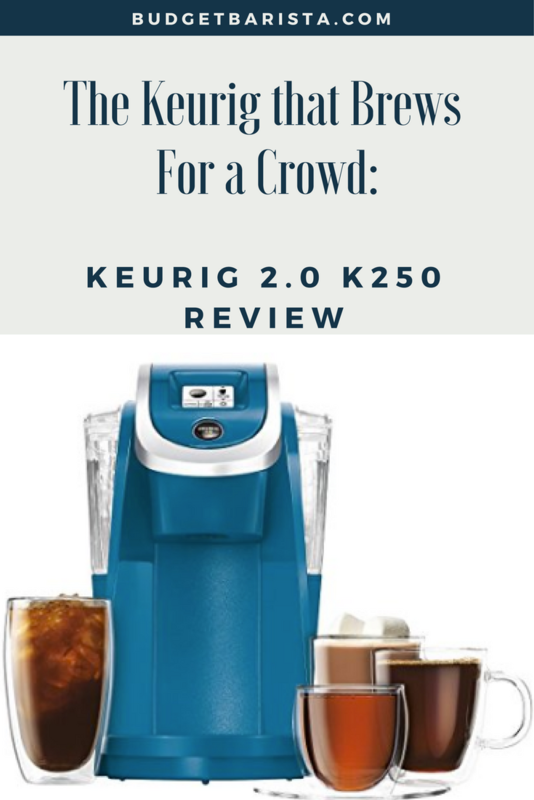 The Keurig K200 is a small, versatile brewing system with everything needed to create your idyllic cup of java, while still appealing to every consumer with its diverse color range!